Microsoft today has announced that Windows Phone 7 code has been locked down, and it is ready to go onto consumer handsets this fall. In short it has reached its RTM (Release to Manufacturing) stage. All quirks have been washed out, new features have been added, and all that’s left right now is for manufacturers to finalize and release the first of devices which will run Windows Phone 7. 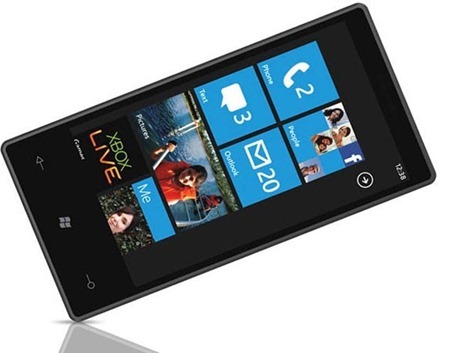 This final version of Windows Phone 7 includes some changes, based on the feedback which was given to Microsoft from developers running the test units. Changes includes: UI tweaks and some more Facebook integration. Still missing in action will be multitasking, Twitter integration and copy/paste. These features I believe will be added in future versions. Microsoft initially said that first of Windows Phone 7 devices will appear somewhere around the holiday season, but it seems that Microsoft has plans to launch it earlier, in October to be exact. So keep your eyes peeled for Windows Phone 7 handsets on your favorite carriers soon! Let’s see if Windows Phone 7 can give Android a run for it’s money. You can check out our Windows Phone 7 Activity Center for all things WP7. Ready Set Go to Lose, that’s what. With the success of Droid X(and 2) and iPhone 4, they are NEVER going to catch up. Well, I’d say its about time… Windows phone 7 hype has been going on for a long time now. They should really hurry it up.